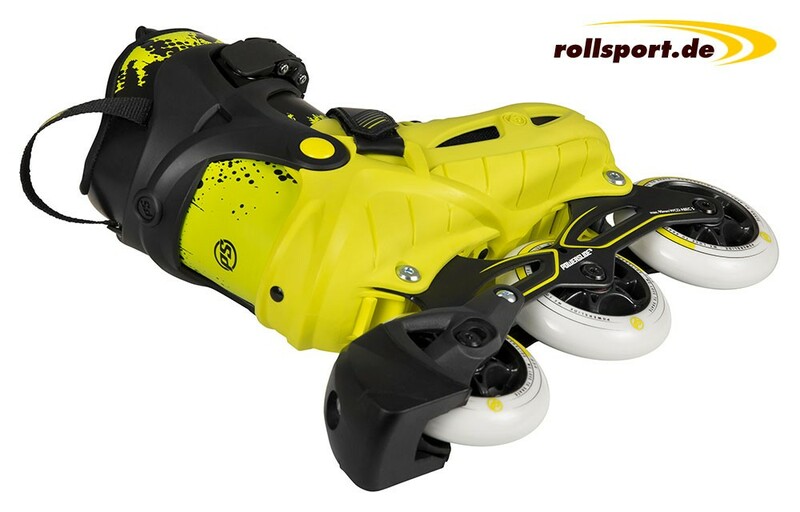 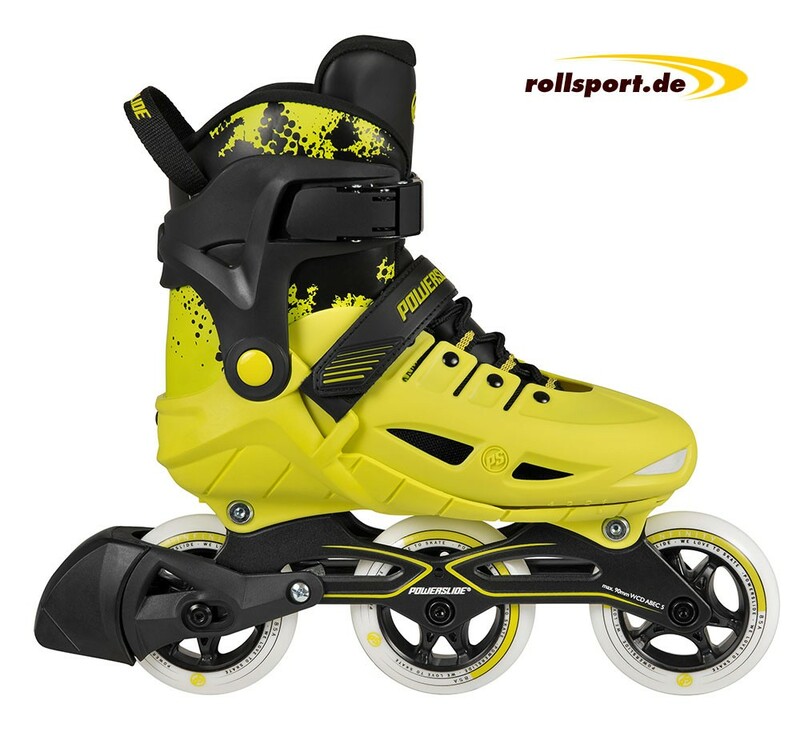 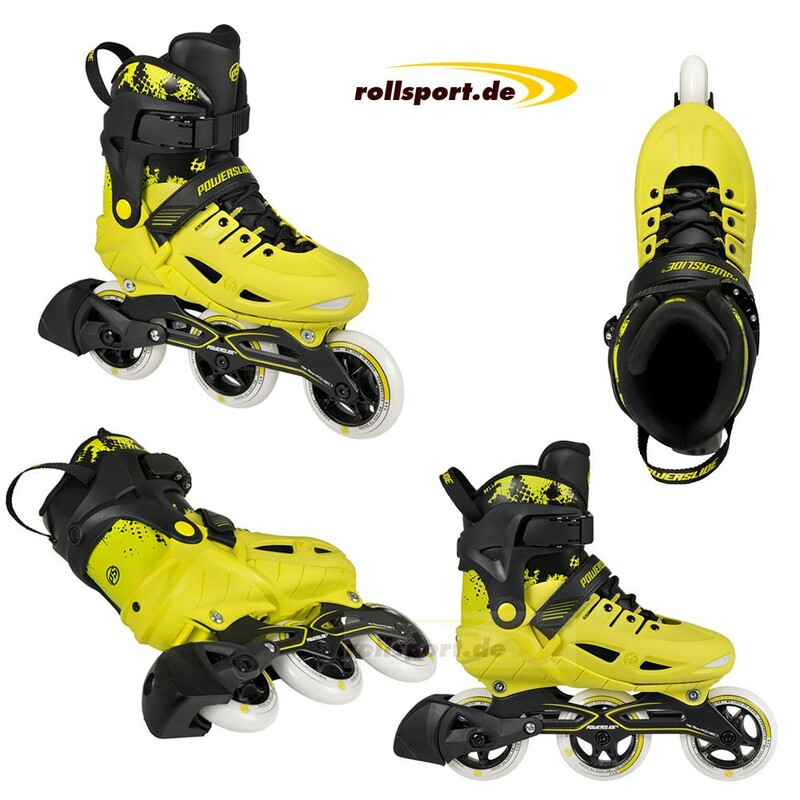 Powerslide Phuzion Universe kids hardboot skates yellow - the Powerslide hard shells Inline skates for children are available in sizes 29 - 32 with 80mm, in 33 - 36 with 84mm and 37 - 40 with 90mm wheels. 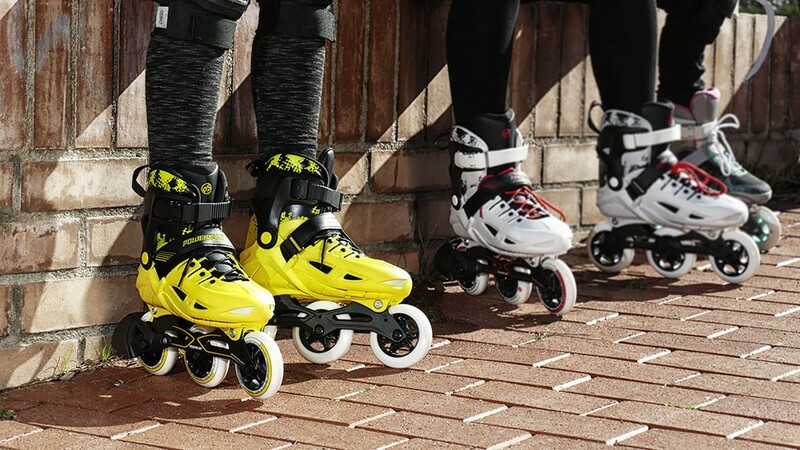 Trend novelty: hard shell inline skates for children. 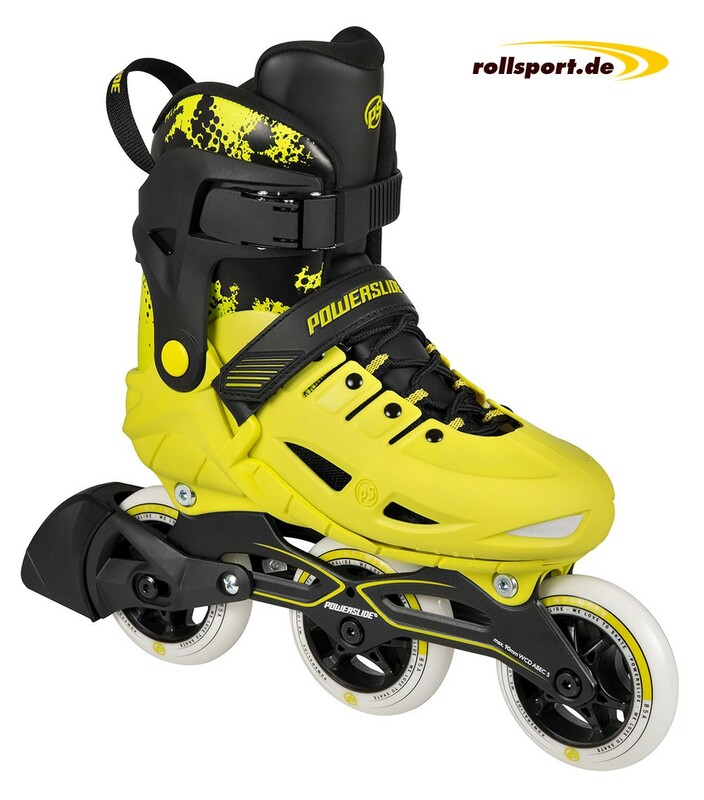 The Powerslide Phuzion Universe children's skates are the new generation of children's inline skates. 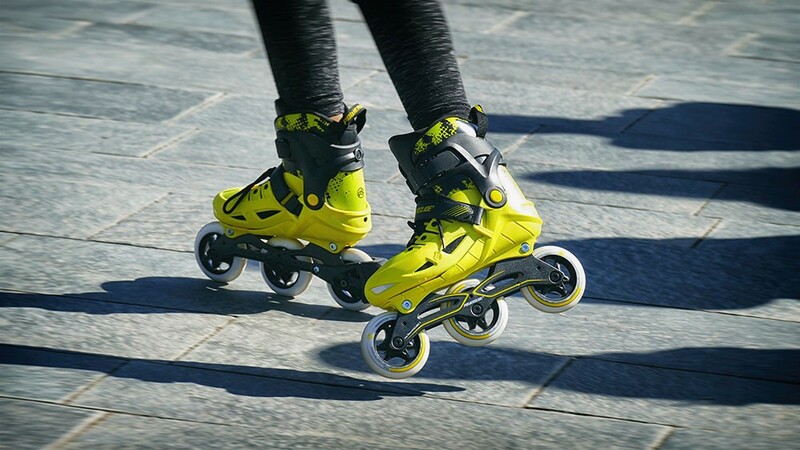 Equipped with a size-adjustable and super-comfortable Fitness upper shoe, surrounded by a hard shell PS Alpha Junior Cuff which gives the skate the necessary lateral support. 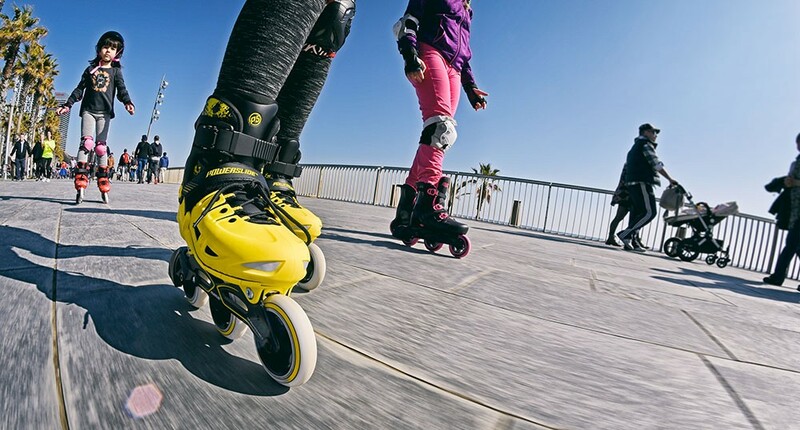 The high-quality aluminum rail consists of 80cm, 84mm or 90mm wheels with Abec 7 ball bearings from Wicked, depending on the shoe size. Which shoe size is which wheel size?